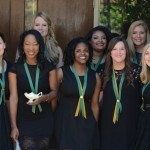 In the Fall of 2014, Belhaven University opened its doors to the first class of the newly formed School of Nursing. This month, the inaugural class received their diplomas and became the first graduates of the School of Nursing. One of the traditions of nursing students is the pinning ceremony. Held the day before traditional commencement, the 13 graduates were honored in front of their friends, families and faculty members. Consistent with tradition, the pin was designed collaboratively by the graduating seniors. The pin featured the lamp of knowledge as well as the university’s motto “To serve, not to be served.” Each graduate selected a significant person in their life to present their pin to them. Additionally, individuals were honored with several awards for their work in the program. The Nightingale Award, named for the founder of modern nursing, Florence Nightingale, was given to Kathryn Perkins. The Spirit of Nursing award, given to a student who displays perseverance, compassion and a dedication to the nursing profession was awarded to Jason Copeland. The Outstanding Senior Nursing Student was presented to Kaley Wilcox. Chelsea Brunson was awarded the Nursing Clinical Excellence Award. Many college students report that the biggest difference between the high school classroom and college is the adjustment to academic writing. Kim Priestmeyer, Associate Professor of English at Belhaven University, recently conducted a webinar to homeschooled students across the nation on this very important topic. Students can begin preparing for college writing classes by increasing their vocabulary, writing with a more formal tone and being less narrative and personal in their writing. 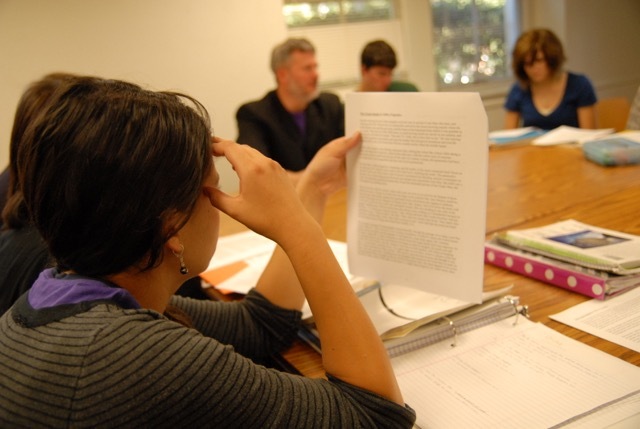 The webinar also shows students the value of learning to write under pressure, as essay examinations are a common assessment at the college level. She suggests that students not shy away from tougher high school classes like Advanced Placement courses. Homeschool students can also gain an advantage by taking dual enrollment courses through Belhaven High Scholars. This allows students to simultaneously receive credit for high school and college courses through an online, integrated classroom setting. All courses are also taught from a Christian Worldview.